This post was originally published in October 2016, but has been updated with bigger, better branding tips! Oh, it also contains affiliate links for products I love. Thanks for supporting this little blog of mine. No mater what type of creative you are, branding yourself is a key aspect of your growth and success. Last fall, I did a blog rebrand. I got a whole new blog design, revamped my colour scheme, and I knew that when I started fresh, I wanted to do things right. It’s not that I didn’t like how my brand looked before, but I was ready to change things up. I didn’t even have a custom logo, I just used the header text that came with the template. 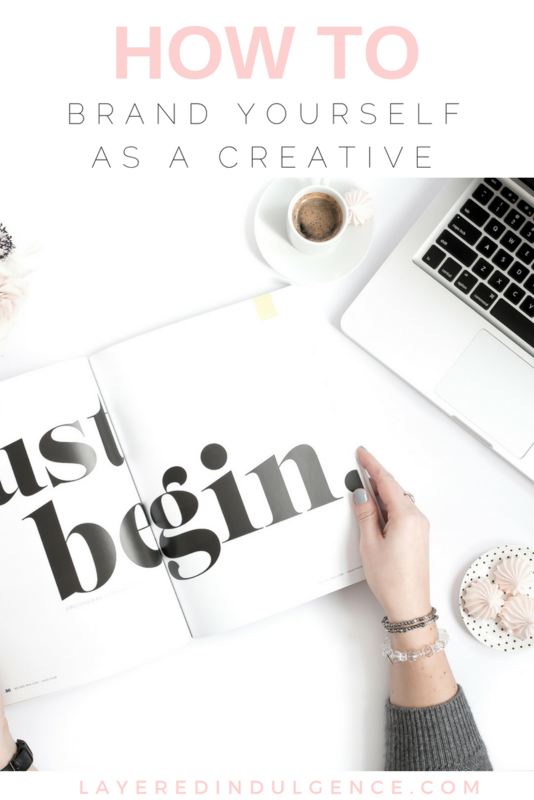 There’s nothing wrong with that when you’re just starting out, but I knew I wanted to get more serious with my blog, so I needed a logo that set me apart! I also dug deep to figure out my true target reader. I had a new base of lovely followers and I wanted to make sure my target audience was captured through my new blog design and branding. As you can tell, it’s bright, feminine and stylish. I’ve got tons of compliments on my new blog branding from my readers, so I know I did something right! Branding is really important as a creative. You likely have a website or blog, and social media platforms you’ll want to portray a certain vibe and feeling. You’ll also want them to attract your target audience. One of the best ways to do this is through branding. Branding is more than choosing a colour palette and a logo. It’s feeding into what your ideal audience craves, choosing fonts and colors they’re attracted to, creating a consistent writing style, using images they love, etc. So, it’s important to know who you target audience is. Without that, branding is HARD. Actually, it’s pretty much impossible. Who are your trying to attract? How old are they? What’s their gender? What do they do for a living? What are their hobbies? 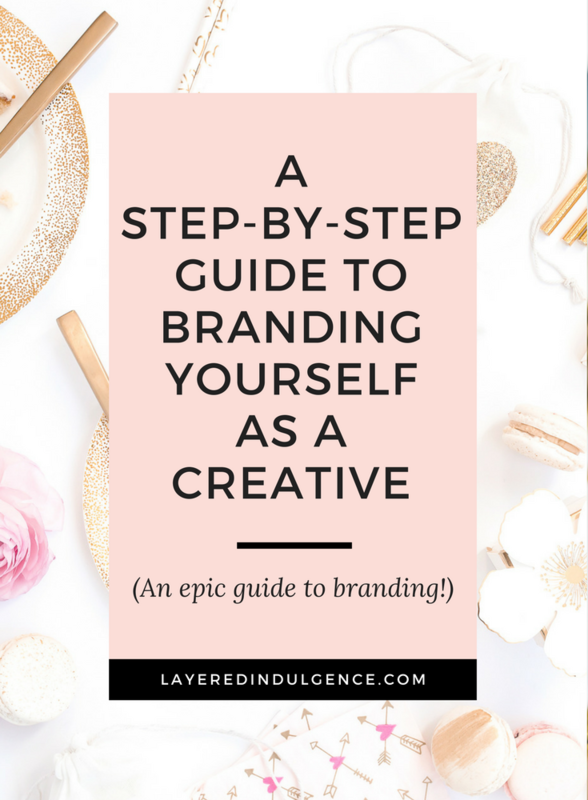 Take a look at this step-by-step guide to branding as a creative (and why it’s so important). What is your focus as a creative? It’s really important that your brand has a clear focus. 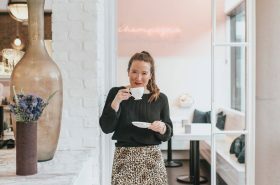 Are you a travel journalist who lives out of a suitcase 24/7, or a wedding photographer who’s solely focused on growing your business through Instagram? 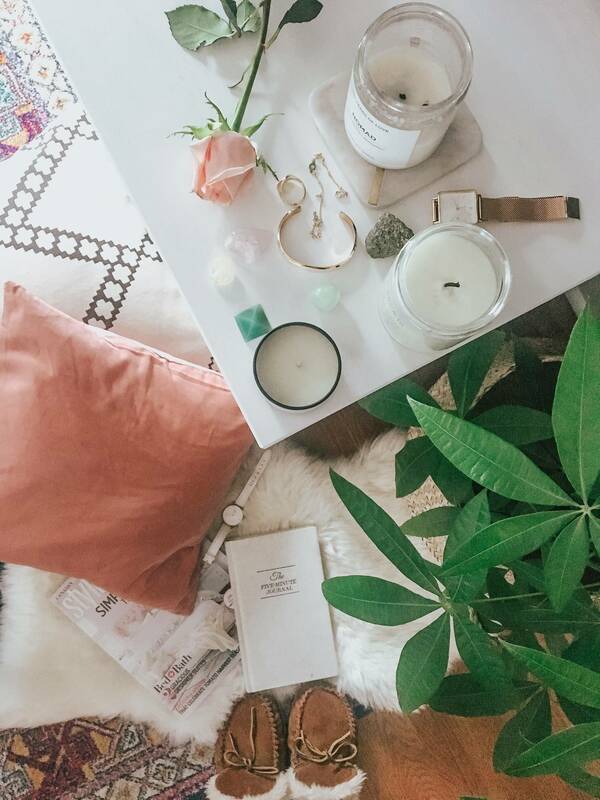 Perhaps you’re an interior designer who specializes in boho chic tiny homes. Find your focus and own it! This is how you become an expert in your area, and when people will start coming back again and again for your content. You need to establish who exactly you’re targeting. Make it obvious, specific, and clear as day. This is so important because you need to know who you’re branding for. Keep in mind, you’re not branding for yourself. Your target market might have similar traits to you, but when it comes to branding, you have to think from their point of view. You have to attract them and make them want to follow along, and keep in touch with you through your email list and social media accounts. Make sure your target market can see themselves in your branding – in the colours and design, through the writing and photos, and especially in the topics and content you put out. What is their sweet spot? Once you’ve figured out your target audience, you have to find their sweet spot. What are they looking for? What do they need help with? Do they want advice on styling outfits? Do they need day to day beauty inspiration? Figure out how you can help them and make it clear that you aim to do just that. Once you’ve established your target audience, what they’re looking for, and how you can help them (Ladies, PLEASE do this first! It will make your branding process SO much easier! ), it’s time to create a mood board for your brand! If you’re a regular around here I don’t have to tell you about my LOVE for Pinterest. In case you haven’t hopped on the Pinterest train, it is a great platform for creativity, finding inspiration and information. Create a secret board on Pinterest and pin about 20 to 25 images that would inspire your target reader. These can be photos of anything – home décor, nail art, landscapes, art pieces, outfits, succulents, quotes with pretty fonts, stationery, anything! Then using a photo editor (I used Canva, it’s free and amazing! ), make a collage of around 8 to 10 of your photos. 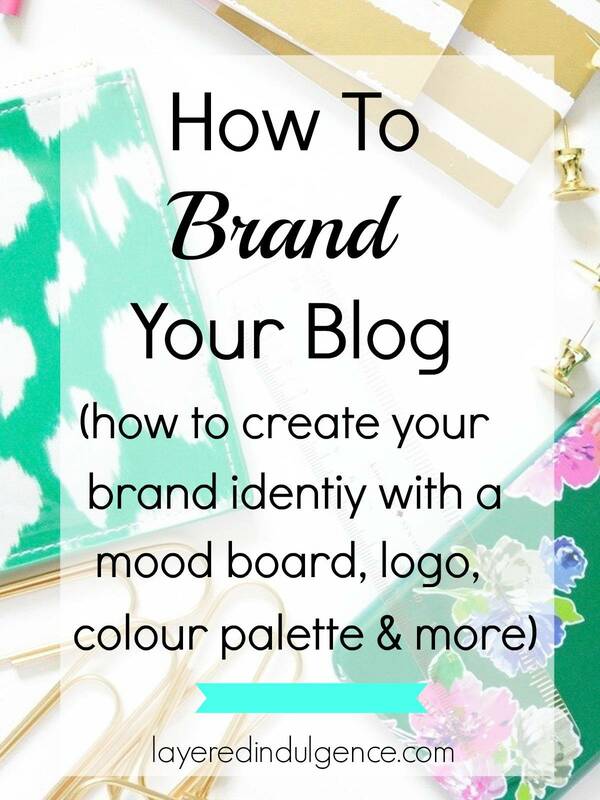 You have now created your brand mood board! This will give you a sense of the colours and fonts you should use for your brand, as well as the vibe you want to give off. Is it minimalist? Pretty and whimsical? Bold and striking? Your mood board should help you figure out these things! Once you have your mood board, you can decide on your colour palette. Choose three MAIN colours, plus two colours that will be used as secondary colours. Find the actual colour hex code of each of the colours so you can use them consistently for all of your branding. If you want to learn more about choosing the right colour palette for your audience, Marianne over at Design Your Own Blog has an amazing, in-depth post about it! 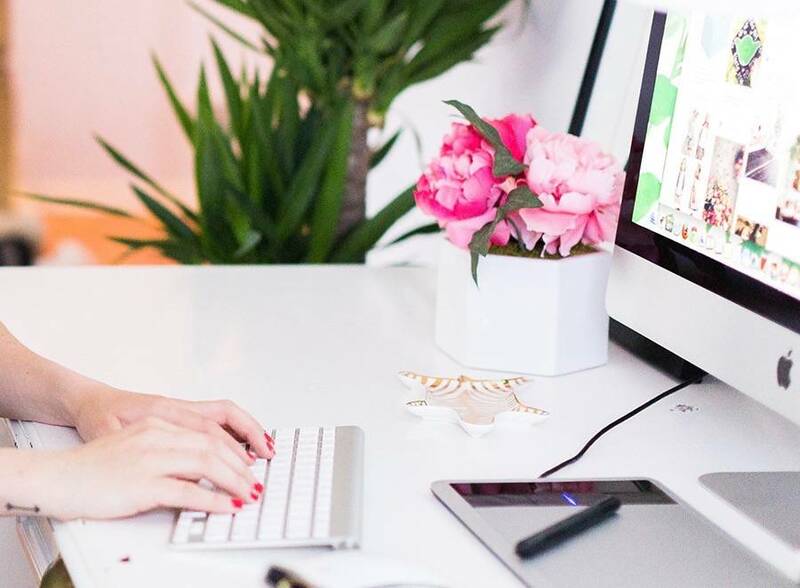 Once you’ve settled on your colours and overall vibe, it’s time to design a logo! If you’re artsy and technologically-inclined, you can totally do this yourself. I invested in a customized logo designed by FreshLavenderDesigns on Etsy. I love how it turned out! See how it uses the black and gold from my mood board? Having a customized logo is essential for your brand. It ensures no one has the same logo as you and makes you stand out as professional. You can use it on your social media accounts, your business cards, and anything else you want to put your stamp on. My friend got her phone case customized with her logo on it, how cool is that! Any photos you post on your blog/website and associated social media accounts should fit with your branding. You can take your blog photos yourself or subscribe to a stock photo site that fits your blog’s brand and vibe. I recently subscribed to Haute Chocolate stock library and I’m completely obsessed! The photos suit my branding so well and really speak to my target audience. It’s one of the best investments I’ve made for my blog and I wish I didn’t hold off for so long! Have you fully branded yourself yet as a creative? If so, leave me a link, I’d love to take a look! If not, what’s the biggest thing holding you back? If you found this post mega helpful, I’d be so honoured if you shared it with your tribe on Pinterest! Thank you for this post! My blog is only about a month old so I’m still learning and figuring it all out. Thanks to you I figured out how to actually form a color palette to make everything cohesive! I think it will especially help out with my Instagram feed which is just all over the place right now. I’m off to re-color and finally brand my blog! Thanks again! Thanks so much for your lovely comment 🙂 I’m so happy that you found my branding article helpful, I hope it can be of assistance for any of your blogging needs! You are so helpful! I am currently rebranding. I always thought I was blogging for others but I really stepped back and realized I was just talking, adding no value whatsoever and my blogs brand is non-existent! Love this! Photos & logos are so important in branding and building a personal image for yourself and for your blog! Thanks Sheila! I’m so happy you found it helpful! Good luck with your rebrand!!! I love the mood board idea!! Thanks for the tips. I plan on upgrading my blog soon and I definitely now plan on creating a mood board. Thank you for this post, I am still fairly new to the blogging world and I think I should start figuring out all about branding and which direction I want to go with my blog. Will surely be implementing this, really helpful. I just found this post on Pinterest, and I am so glad I did! I have just gotten to my first month of having a blog and I already want to change my theme and design. I am still in the learning process but your post has defiantly helped me on the path that I need to go on. So thank you for tips! Thank you so much for this! I’m currently in the planning phase for my blog all about veganism and I was really struggling on how to stand out. Ideas started flowing steadily after reading your post. Thank you! I’m so happy this post could help you, Alexandria! Good luck with your planning, it sounds like you’re off to a great start! Found your article and loved it!! I’m in the process of starting a blog and I thank you so much for this info on branding. Trying to do it right from the beginning and this can only help!! Thanks you so much for sharing with us these tips. I think they are very helpful, I cannot wait to apply them! I love the colours, and your blog! Loved this post, super helpful. Just getting my blog started and this is just what I needed. Made progress today on my blog. Thanks a Bunch! YAY! I’m so happy to hear this! You’re very welcome and good luck with your blogging journey!!! Wow!! Thank you! This is so helpful! I need a logo! But having a hard time deciding. 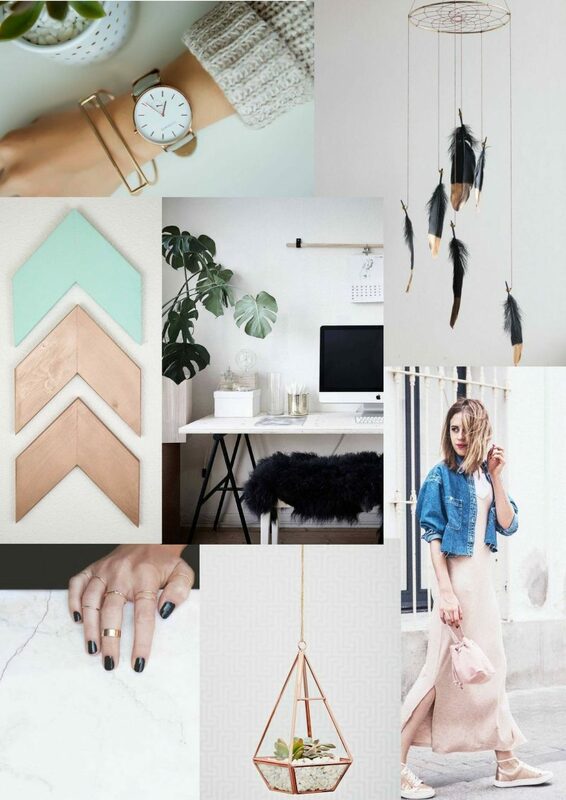 A mood board is a great idea! My blog is a work in progress beachandbark.com any tips I would greatly appreciate it! This was so helpful! I’m just starting out and this was a great read! Thanks so much Megan! Glad you found it helpful and good luck with your branding!